Home ﹥ FAQs	> FAQ - Camera DCC Filter > ☉ What's wrong with Gray Card or White Card? ☉ What's wrong with Gray Card or White Card? ☉ Why can’t obtain the exact Visual Color Photo from using the “White Card” or “Grey Card”? There is an important basic concept to be understood that the color of light is the color temperature itself. When the light is projected onto the surface of object and reflected from the object, the original light is also doing the color rendering effects on the object surface. Gray world theory based on an ideal world, it says that its integrated reflectivity is18% if all the objects in all the colors of the world were put together. In reality of real photographic scene, the integrated reflectivity could be vastly away from 18 degrees gray due to the insufficient samples of the objects and inappropriate proportion of certain colors to other colors. It is great to use Gray Card for purpose of exposure. However, neither white card nor gray card is suitable for white balance since it is tinted by ambient lights that make it as an “incorrect” color standards as shown in the comparison photos indoors or outdoors. When a variety of ambient lights are projected on the gray card or white card, these original “standard gray card” or “standard white card” has been subject to varying degrees of color rendering (light pollution). To camera’s color compensation system, these tinted “standard gray” or “standard white” was not the accurate value any more. By using these color inaccurate “gray card” and/or “white card” reflected light for the manual white balance purpose at scene or use the photos of them to adjust the color temperature adjustment afterwards with application, the adjusted colors would certainly differ from the true color of the actual photographic scene. You can easily make use of the aforementioned “How to get Visual Color” to compare the colors differences with the actual scene colors and the calibrated colors from using “gray card” or “white color”. Under complex light sources, the grey card would be tined to various degrees of grey color which is reflected to camera for white balance at different locations of the shooting scenery. In such case, it would be a nightmare to adjust the color of each photo even using the best PS skills. 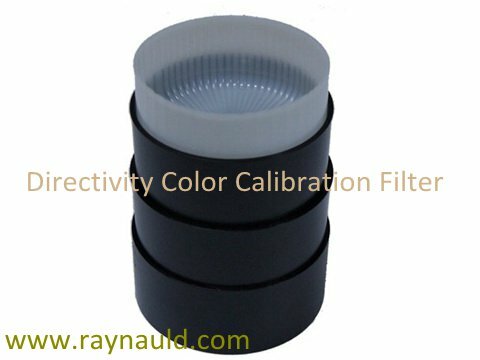 Only “Raynauld™ Directivity Color Calibration Filter” can be used to take the framed photographic scene incident lights that are absorbed, homogenized and diffused through its neutral entity filter to camera’s sensor to provide the most accurate Color Calibration compensation value toward the camera’s gray card system to capture the almost perfect mirror image color photo/video in one shot.